It was a great fun visiting Portland, Oregon, the city of roses (and beers! ), and getting to know a great research community on QoS. 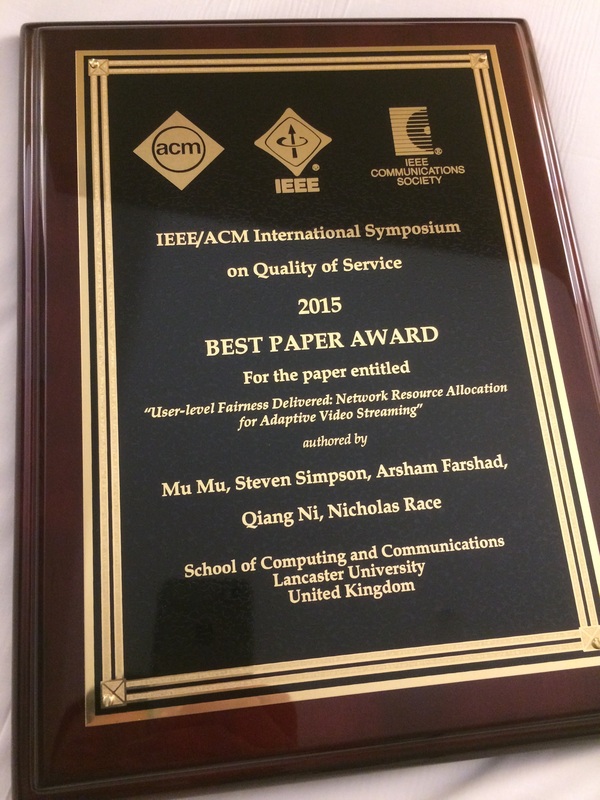 Winning the best paper award was certainly one of the highlights of the trip. If you are ever around Portland, don’t forget to visit Washington Park. I particularly enjoyed the hiking on those great forest trails (over 1000 species of trees), the International Rose Test garden, and the Japanese Garden. For the beers, don’t forget to try the DEAD GUY ALE. < Previous I am working on a JSAC and a TOMM submission.